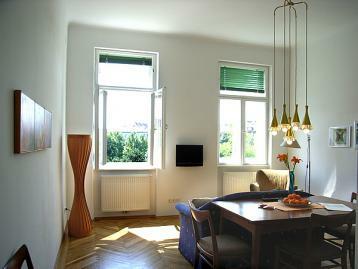 Stylish 1 bedroom apartment in the center of Vienna: This beautifully renovated apartment features modern fixtures, central heating and all the creature comforts one expects as well as the old world charm of Vienna! The building is from 1910 with lots of Jugendstil details. Free WIFI Broadband Internet connection! Please note: This is a non-smoking apartment! apartments that Barcelona On Line has in store for you. For your Brazil vacation choose on of Rio's Apartments!